The Crochet Bug that is. 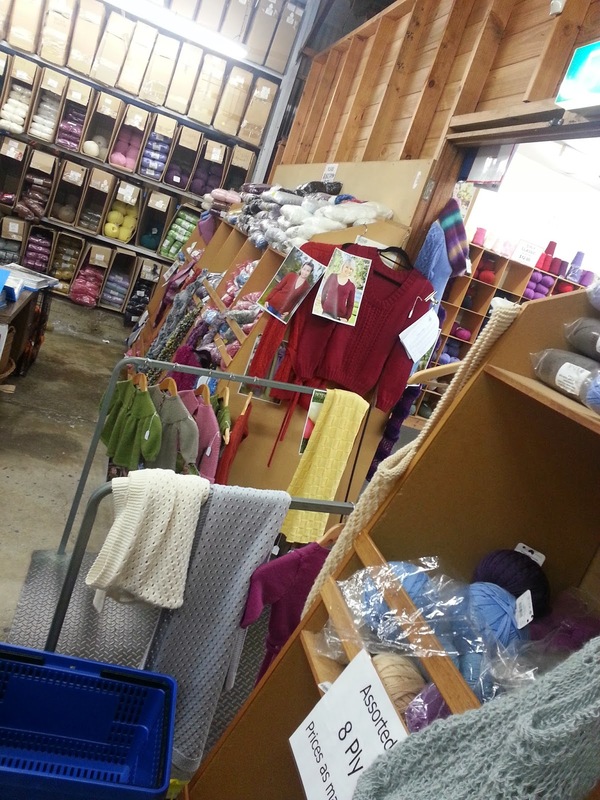 I know so many people who knit and Crochet that just love this place. So many colors. I had to just stand and take it all in for a bit then the fun started. I started picking colors and getting quite a collection up then remembered that I only live 10 minutes away. Besides, I'm also learning my way around yarns and what's what so I don't want to rush things! Oh and no visit is complete without a look "out back". The "Specials room". Great prices. If only I knew exactly what I was looking at. I will learn. So a girl can't leave empty handed. I went in with a plan. 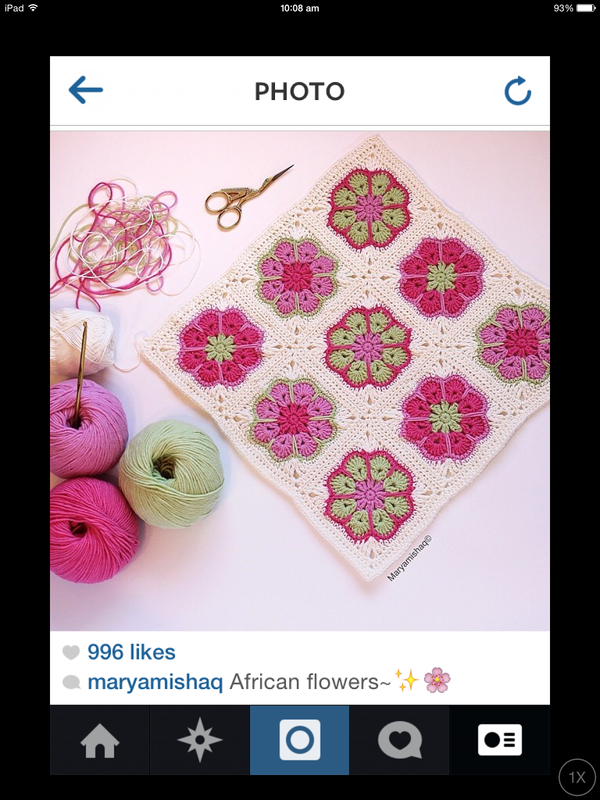 My next Crochet Project - African Flowers. Yep beginner diving in the deep end here. With some advice from my dear friend Barb I have selected to use the Luxury 4 ply for my Flowers. It feels AMAZING. 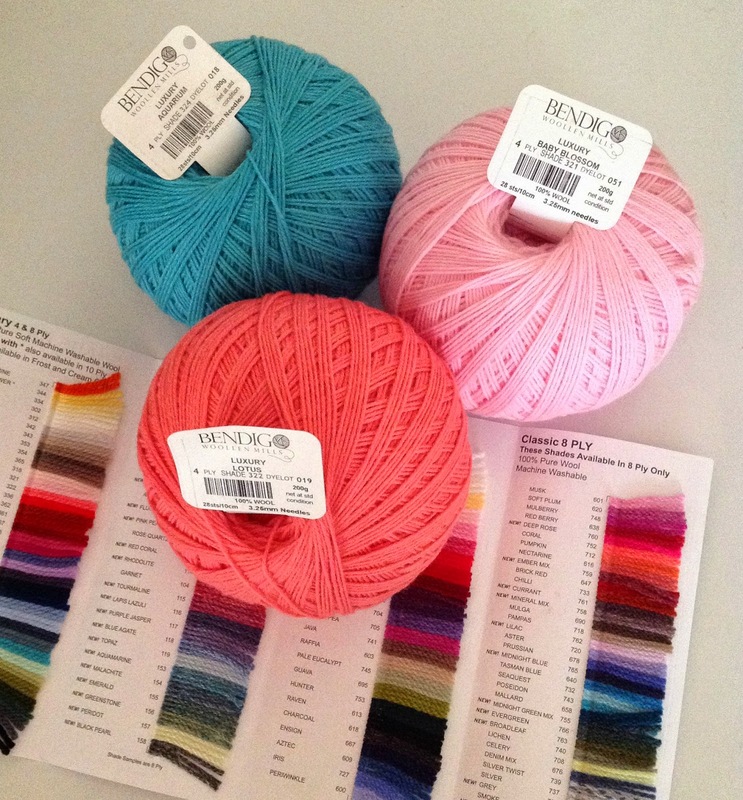 Don't think I will ever go back to Spotlight for yarn. I am already plotting what colors to add. Thank you Barb, without your advice I would have been well and truly lost. Now. First things first. I need to finish my first Crochet project. I have all these finished. Anyone know how to add more hours to ones day? Those African flowers are gorgeous. Can't wait to see yours, Sharon. looking forward to seeing all your wonderful creations.... perfect hobby for the cooler weather..
Oh my!!!!!! 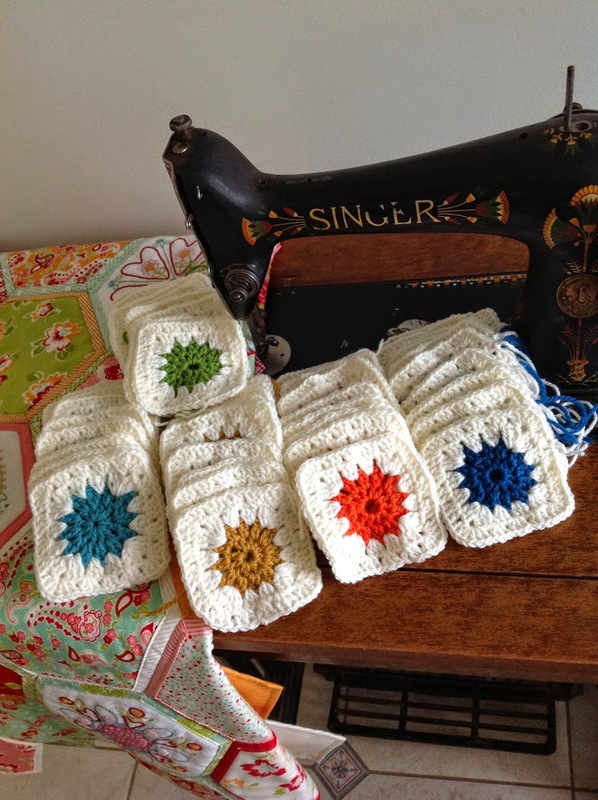 Such yummy yarns and a lovely pattern you intend to do. Barb is rather good value regarding Crochet advise. She inspired and assisted me via the internet. 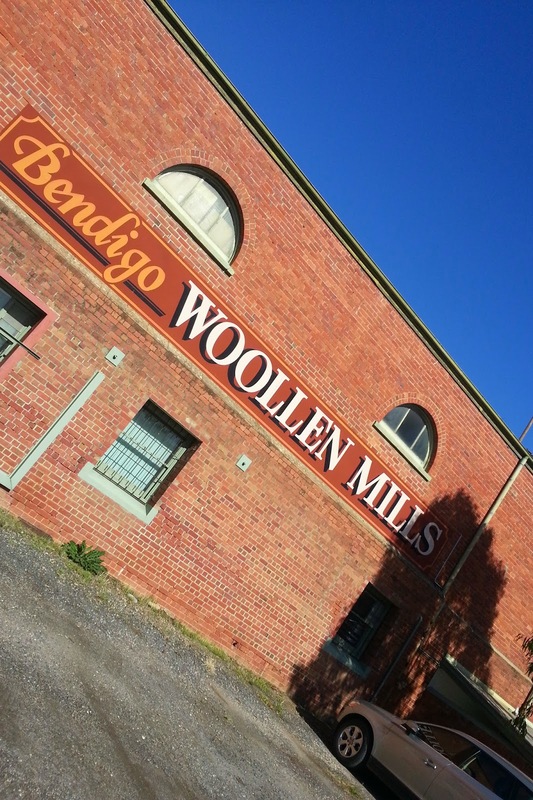 I recently bought from the Bendigo Woollen Mill via internet for the cardi I am knitting, Great prices there. Have fun. Sharon this colours are gorgeous. 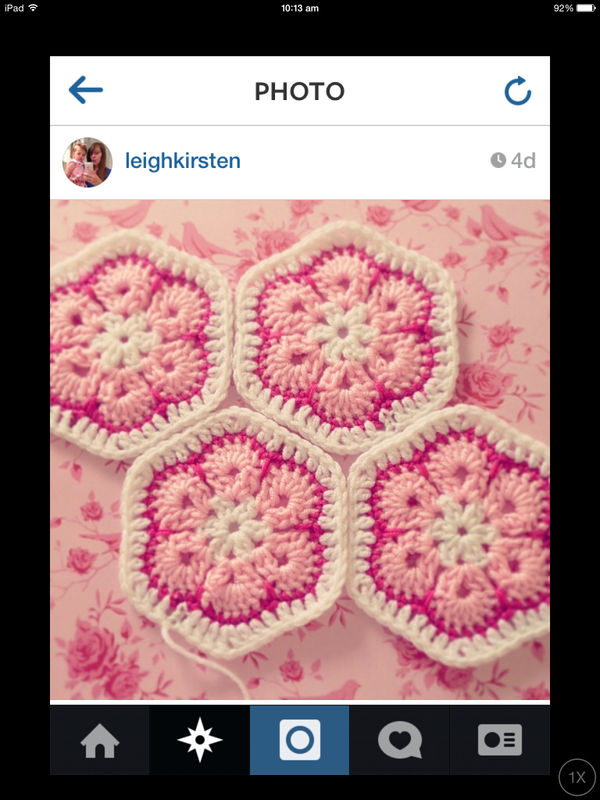 Can't wait to see your crochet flowers grow. Glad to be able to help you out Sharon, just email me if you have any questions and bring this project to our next meet up and I'll be able to demonstrate things visually for you as I learn much better this way when learning something new. I can't wait to see the ones you've already done. 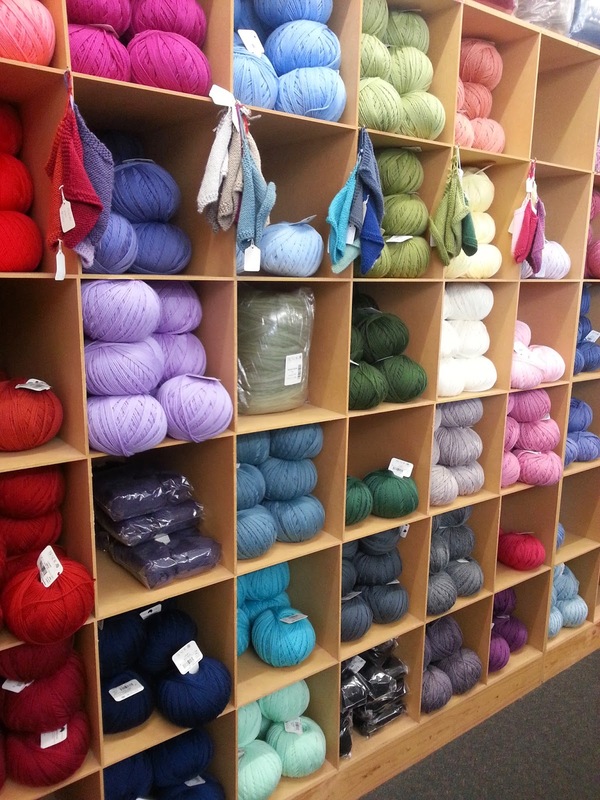 Sorry for encouraging you to be a yarn snob......:) Barb. That's like being a kid in a lolly shop! How did you manage to behave so well? 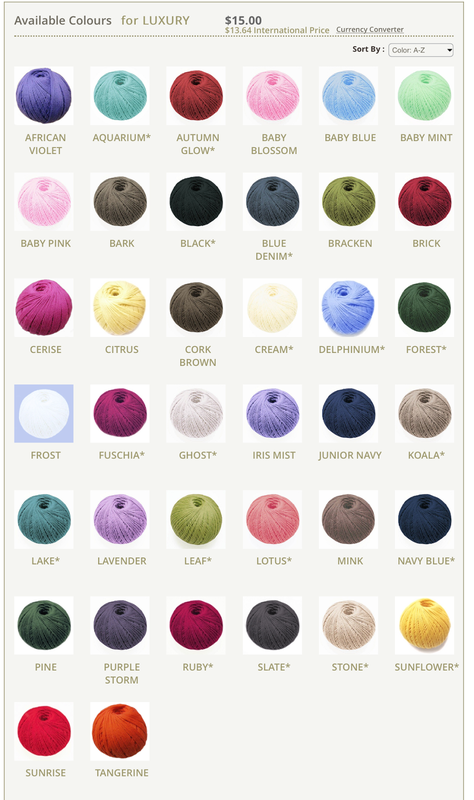 These colours you have chosen are gorgeous and will look great in the African Flowers. I would be in big trouble if I lived that close to the mill shop!